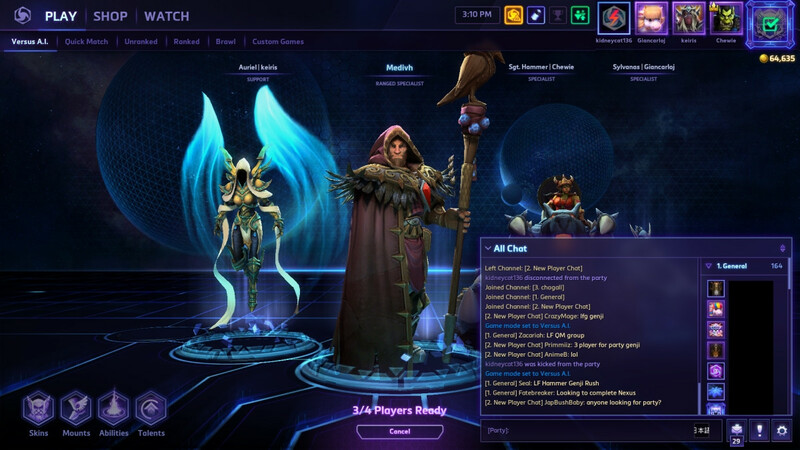 In my HotS party, a player had a red lightning bolt icon over their player icon in the upper-right corner while we were waiting for a game. I know that a lightning bolt means connectivity issues in Overwatch, but this is different (on the hero select screen). What does this red lightning bolt mean? The red lightning means that the player has disconnected from the game. It's the same icon as you would see in a channel list. And here's the chatbox notification, "player_name has disconnected from the party", which shows that the player has disconnected.